March 29 (Friday) Uptown Friday Night. Robbie’s Restaurant, Old Capitol Plaza, Springfield, IL, 530-730. No Cover. Craig Russo Jazz Quartet with Chip McNeill, Adrian Russo and Matt Hughes. February 9 (Saturday) Springfield Ballet Gala, Illini Country Club, Springfield IL. 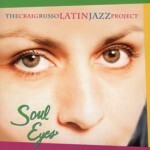 Solo piano by Adrian Russo, followed by Craig Russo Latin Jazz Project. February 2 (Saturday) Lock, Stock and Barrel Jazz Series, Decatur, IL. 4-6 pm. Free. Latin Jazz. November 25 (Sunday) Performance at Radiologic Society of North America Meeting, 1145-130 pm, McCormick Place Discovery Theater, Chicago IL, Latin Jazz. Free to RSNA attendees. November 1 (Thursday) Isringhausen Imports, new Porsche models event. Isringhausen Imports, Downtown Springfield, 6-8 pm. Latin Jazz. October 27 (Saturday) Bunn Gourmet at The Gables, Springfield, IL 7-9, Craig Russo Jazz Trio. 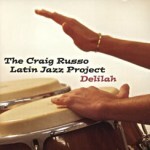 October 4 (Thursday) Springfield High School Commons, PB and J band fundraiser, 530-800pm, Craig Russo Latin Jazz Project. August 10 (Friday) Illinois State Fair Ethnic Village Stage, 7-10 pm. 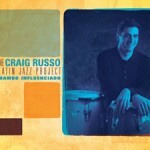 Craig Russo Latin Jazz Project. June 16 (Saturday), Bunn Gourmet at The Gables, Springfield, IL 7-9, Craig Russo Jazz Trio. May 19 (Saturday), Bunn Gourmet at The Gables, Springfield, IL 7-9, Craig Russo Jazz Trio. November 19 (Sunday) Urbana Public Library, 2-3 pm. Latin jazz quartet. October 21 (Saturday) Private Party at Body Symmetry, Grand Opening. Springfield, IL. 430-630pm. Latin jazz quintet. October 13 (Friday) Le Vieux Carre, 408 St Peter St., St Paul, MN 55102 651.291.2715. $10. 9pm – 12am. Featuring Doug Little. Latin Jazz Sextet. September 10 (Sunday) Springfield Century Bicycle tour party, 12-3. Jazz Trio. August 19 (Saturday) Bruegala International Beer Festival, Normal Cornbelters Stadium, Normal IL, 530-730. Latin Jazz. July 22 (Saturday) Craig Russo performing with Charanga Tropical, Chicago Summer Dancefest, Grant Park, Downtown Chicago, IL. 730 – 930. 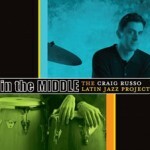 July 12 (Wednesday) Craig Russo Latin Jazz Project. Urban Park District, Ambucs Park, Urbana, IL. 630- 8pm. Latin Jazz. May 20 (Saturday) Old Capitol Art Fair Patron’s Party, 6-9 pm. Springfield, IL. December 9, 2016 (Friday)Upfront Jazz 107 W Front St, Bloomington, IL 61701, Bloomington IL, 8-11. Latin Jazz. October 14, 2016 (Friday). Private event, St. Louis. July 30,2016 (Saturday)Upfront Jazz 107 W Front St, Bloomington, IL 61701, Bloomington IL, 8-11. Latin Jazz. May 21,2016 (Saturday) Lock, Stock and Barrel Jazz Series. 330-530. Latin Jazz. April 29-30, 2016(Friday/Saturday) Craig Russo performing with Charanga Tropical, Cedar Cultural Center, 9pm, Minneapolis, MN. Charanga/salsa. April 15,2016 (Friday) The Iron Post, Urbana, IL. Jazz Happy Hour 5-7. Latin Jazz. March 19 2016 (Saturday) Upfront Jazz 107 W Front St, Bloomington, IL 61701, Bloomington IL, 8-11. Latin Jazz. March 13 (Friday) Craig Russo performing with Charanga Tropical, Bedlam Nightclub, St.Paul, MN, 9pm. Salsa. March 14 (Saturday) Craig Russo performing with Charanga Tropical, Cedar Cultural Center, 9pm, Minneapolis, MN. Charanga/salsa. April 11 (Saturday) Decatur American Heart Association Gala, Jazz Trio 6pm, Dance lesson 8:30pm, Latin Jazz Quintet, 9pm. Decatur, IL. June 4 (Friday) Sangamo Club, 630pm, Springfield, IL, Latin Jazz. June 13 (Saturday) Peoria Jazz Festival, time TBA, Peoria, IL, Latin Jazz. June 22-29. Craig on tour with Charanga Tropical, International Festival of Danzon, Havana, Cuba. August 21 (Friday) Illinois State Fair Ethnic Village Stage, Springfield, IL. 7-10pm. September 18 (Friday) Decatur Arts in the Part. Downtown Decatur, IL. 530-730pm. Latin Jazz. October 17 (Saturday) Lock, Stock and Barrel Afternoon Jazz Series. Decatur, IL. 330-530. Latin Jazz. October 23 (Friday) Pediatric Orthopedic Project Gala and Fundraiser. Foundry Art Center, St. Charles, MO. 6-8pm. Latin Jazz. November 6 (Friday) Isringhausen Imports BMW Event. Isringhausen Imports, Jefferson St., Down Springfield, 5-8 pm. Latin Jazz. November 22 (Friday) Upfront Jazz, Bloomington IL, 8-11. Latin Jazz. December 4 (Friday) Private party. Sangamo Club, Springfield, IL, 630-930. Latin Jazz. April 26 (Friday) 530-730, Robbies, Springfield IL. Jazz Trio. May 2 (Friday) 6-8 pm, IL State Museum, Springfield. Latin jazz. May 3 (Saturday) 330-530, Lock, Stock and Barrel Jazz Series, Decatur, IL. Latin Jazz. Admission $10, Beer, wine. Carry-in available from neighborhood restaurants. August 9 (Saturday) 2-4pm, Illinois State Fair, Ethnic Village Stage. Springfield, IL. Latin Jazz. August 15 (Friday) 5-6pm, Taste of Champaign, Champaign, IL. Latin Jazz. September 19 (Friday) 5-7pm, Decatur Arts Festival, Central Park, Decatur, IL, Latin Jazz. October 18 (Saturday) 330-530, Lock, Stock and Barrel Jazz Series, Decatur, IL, Latin Jazz. December 5 (Friday) 630-930, Private party, Sangamo Club, Springfield, IL, Latin Jazz. January 18 (Friday) 6:30-9:00. Sangamo Club, Springfield, IL. Feburary 2 (Saturday) 3:30-5:30 pm. Lock, Stock and Barrell Saturday Jazz Series, Decatur, IL. April 13 (Saturday) 3:30-5:30 pm. Lock, Stock and Barrell Saturday Jazz Series, Decatur, IL. April 20 (Saturday) 5:30-7:30 pm. Iles Celebrates. Special performance at Iles Elementary School, Springfield, iL. May 3 (Friday) 6-9pm. Reception at Isringhausen Imports, Springfield IL. May 18th (Saturday), Craig Russo Jazz Trio, Old Capitol Art Fair Patrons/artists party. May 19 (Sunday) 11:15-12:30. Old Capitol Art Fair, Downtown, Springfield IL. June 9 (Sunday) 6:30-8pm. Hessel Park, Champaign-Urbana, IL. July 19 (Friday) 8-9 pm. Donnie’s Homespun, Springfield, IL. Opening for Jeff Lorber and Eric Marienthal with Dreaming in Colour. August 13 (Tuesday) 7-10:30pm. Illinois State Fair Ethnic Village. September 15 (Sunday) Central IL Jazz Society Sunday Series. December 6 (Friday) 630-930. Private Party, Sangamo Club, Springfield IL. December 21 (Saturday) 330-530. Lock, Stock and Barrel Jazz Series, Decatur IL.